We at HealthsumLife believe that natural food has the power to cure most of the diseases. This is why we encourage minimum use of packaged food and prefer regional food as it suits your Taste & DNA. With better knowledge of your food culture, you can chat and consult our Regional Health Coaches. So get fitter even when you are far away from your home. You can use our app to find out healthier alternates to your favorite food. Use this feature to eat smartly. 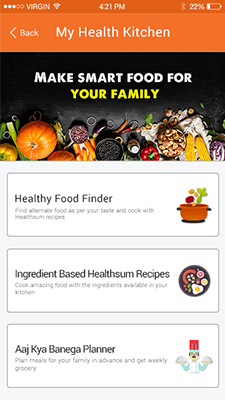 HealthsumLife brings you the feature of fetching healthy recipes with ingredient based search. So cook healthy and tasty food with the grocery available in your kitchen. Live a stress free life as our coaches plan a weekly diet for your family with ‘Aaj Kya Banega Planner”. Say no to impulsive buying and save on your grocery bills. Be a smart planner and get a precise weekly grocery list at one click. We understand your Love and care towards your family. This feature allows you to manage the Health of your dear ones. Get addicted to our activity tracker and engage yourself into regular walking, running & cycling regime. Practical, Affordable and specially designed for Indian Taste. We believe that food has the power to cure most of the diseases. Accordingly we offer natural and regional diet plan that goes well with your body, mind and taste. We understand how hard it is for you to change your inclination towards taste. Therefore, we help you make Tasty Food Healthy, eliminating the need to stay hungry. With our unique fitness test, you can choose an ideal weight goal and find your dietary requirements as per your body need. For effective health management you can view healthy recipes and food intake analysis as per your diet plan. You can consult our Regional Health Coaches as they have better knowledge of how local food affects your body. You can also chat with our Holistic Chefs who work hard to make Tasty Food Healthier. You can also use One Click grocery feature to get a weekly grocery list as per your diet plan. A Health Kitchen inspires you to build a habit of healthy eating. We strive to introduce a better way of eating that is Simple, Nutritious and Tasty. You can make smarter choices with our unique Healthy Food finder and discover healthier alternates to the food that’s on your mind. Cook healthy food with the available Ingredients in your kitchen. 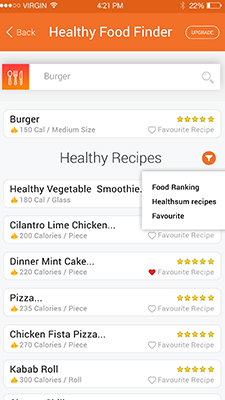 Our app helps you fetch healthy recipes with Ingredient based search. You can also check the health benefits of your favorite recipes. With our Aaj Kya Banega planner, our coaches can plan a weekly diet for your family and you can generate a weekly grocery list for your entire family. Thus get addicted to our unique offering which empowers you and your family to have a healthy Life. This all-in-one activity tracker is specially designed for your family. You can add the family members in this section to track their health at a single click and manage the health of your dear ones. You can view the various health analyses on daily, weekly or monthly basis to track your progress. 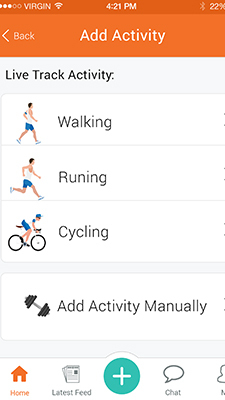 The App will record and analyze your fitness activities to help you maintain a healthy lifestyle. 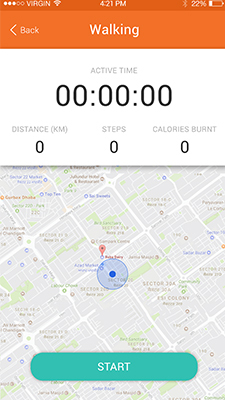 You can get addicted to our live activity tracker and engage yourself into regular walking, running & cycling regime. 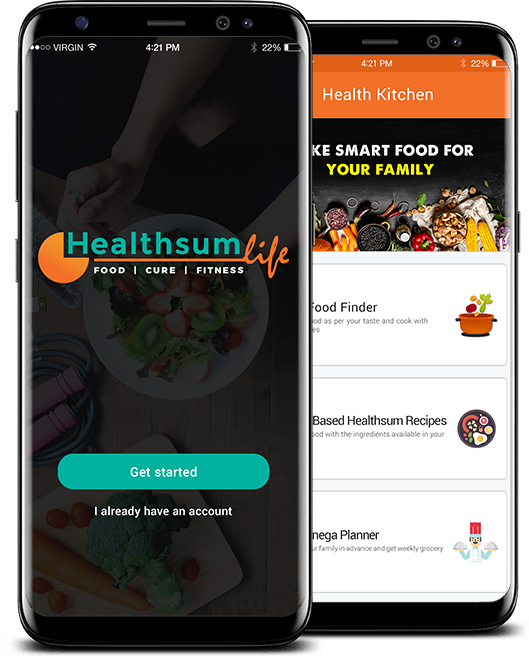 HealthsumLife is an all in one Health App which focuses on Wellness through Food. Besides a calorie counter, it is a diet planner, which automates your diet as per your Taste and Region. 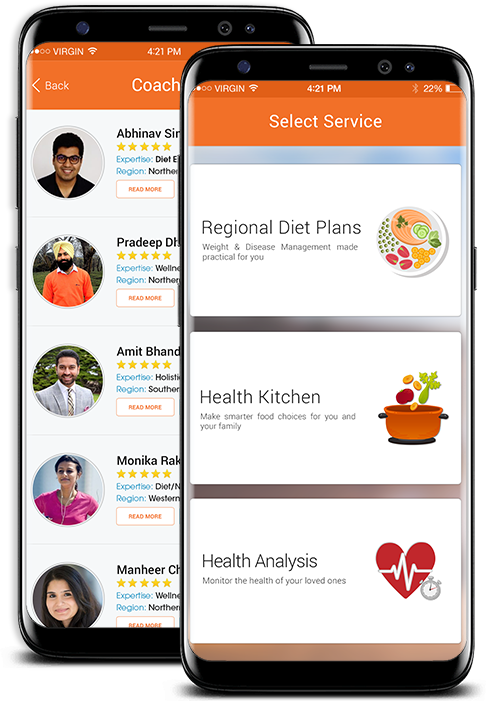 The app has three broader services Regional Diet Plans, Health Kitchen and Health Analysis. It is one of the most practical mobile app for Weight & Disease management. Could I loose weight while eating my favorite food? Yes, you could loose weight even while eating your favorite food, provided it is consumed in moderation. Our team of holistic chefs curates recipes in healthy ways to ensure better health results. How do I know my ideal weight & calorie requirement? HealthsumLife app has one of the most interactive Fitness Test. Depending on your level of activity and body composition; you can know your Body Mass Index (BMI), Ideal Weight, Calorie Intake Target and Total Time required to get back in shape. What is the best diet for me & How to select the best coach? With the help of our unique fitness test, you can easily choose a diet as per your body requirement, native region, and taste preference. You can subscribe to a personalized diet & regularly chat with our wellness coaches to stay healthy. The selection of a wellness coach can be done on the basis of their specialty in the chat section of the app. How can I track my calorie? In the regional diet section, you can track your food intake by simply ticking the Food you have consumed on daily basis. In case of any change in the food item, you can add/delete the changes and Tick the newly added item for tracking. 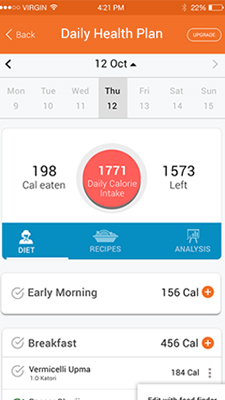 You can analyze your calories & other activities in the Health Analysis section on daily, weekly or monthly basis. The recipes related to your diet plan are available in the regional diet section. A premium user can also access the healthy recipes from our ingredient based recipe section. How do I find alternate food options while eating out or while traveling? The app has healthy food finder, which can help you find alternate options while eating out or while traveling. You can search your preferred food and the app will display alternate foods to help you make a smarter choice. How can I plan my grocery buying and save on my grocery budget? Complying with your diet plan can sometimes be challenging if you do not have the right grocery in your kitchen. With the help of our One-Click grocery feature, you can generate a weekly list to plan your shopping and save on your grocery budget. How will the app help my family manage a better health? Aaj Kya Banega is the most common question in every family, but worry no more as we can plan your daily meals in advance for your family. A premium member can get a personalized meal plan from our wellness coach and access it in the “Aaj Kya Banega Planner” section. You can generate a weekly list to plan your shopping for the entire family. 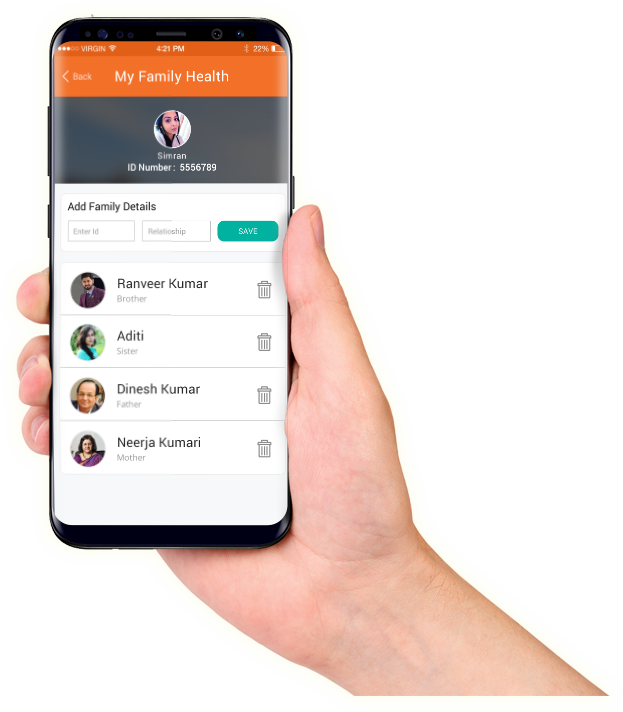 With “My Family Health” feature, you can easily monitor the health of your family members and loved ones and track the progress of each person. Just add the User Id and Relationship to send an invite. The family member has to accept the invitation to allow the access the health analysis. In case of any technical issue, whom should I contact? You can reach us at Info@healthsumlife.com for any concerns or technical issues. Our technical team will get back to you within 2-3 working days.